This program recognizes some of the best and brightest students that Hope College has to offer for the future leadership of the church and the academy. Hope staff and faculty nominate students who might be considering attending a theological seminary or similar graduate program in theology or religion. Perhaps you've discerned a call to ministry, or you're just vaguely considering the possibility, or maybe the thought has never even crossed your mind. If nominated, at least one Hope staff or faculty member thinks that you have shown evidence of certain gifts for graduate study in this area. Participation in this program is often limited to juniors and seniors and may qualify you for scholarship assistance as part of your financial aid package. Please nominate students that have an interest (or evidence of gifts) in further education in ministry, seminary or a Christian-focused graduate program. If you are nominated, you will be invited to apply by e-mail. If you have a desire to be nominated, please express your interest to a Hope faculty or staff member. Students are selected to become Lilly Scholars if they have a strong GPA (3.6 is the normal cutoff) and at least some interest in the possibility of pursuing graduate work in theology, ministry or a related field. This work can be at a theological seminary, a university divinity school or in other kinds of graduate programs. 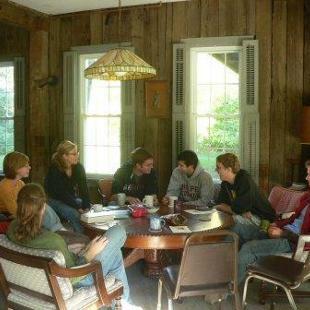 Students selected attend the Lilly Scholars Seminar, which meets one or two times per month throughout the academic year, usually over a provided meal. Students will be expected to do a very small amount of reading in preparation for these events. 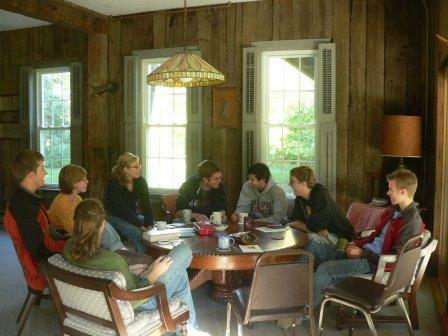 At these gatherings, students will discuss topics related to theology and ministry. Find a schedule and details for dinner every other week. Certificates will be presented at Honors Convocation in April at the conclusion of your active year as a Lilly Scholar. 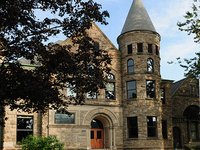 The Lilly Scholars program was an initiative of The CrossRoads Project, Hope College's program for the theological exploration of vocation, funded by the Lilly Endowment, Inc.